Turn your Ford F-150 into a Raptor with the realistic looking set of 3 Amber LED grill lights. 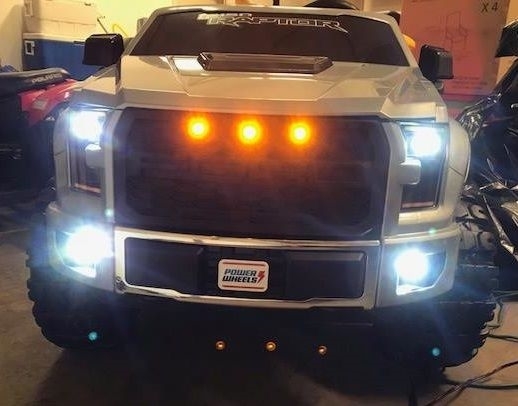 These lights has a smaller diameter then our regular Amber LED's to fit your grill better. 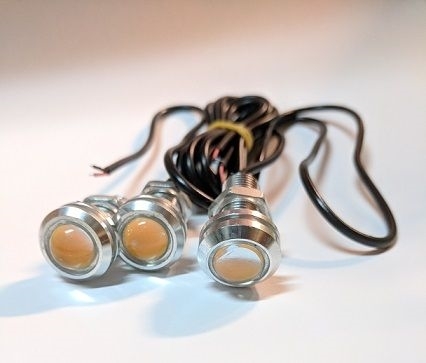 Add them into our Basic Lighting Kit or wire each of them directly to a 12v battery source. Headlights and foglights shown in picture are not included. This is just the 3 grill lights.